The RV, the perfect way to live life on the open road. There’s such a romantic appeal to the thought of being able to take the creature comforts of home anywhere in the world. Be it a cross-country family vacation or you just have an itch to spend your life traveling instead of staying in one place, the RV is perfect for both. In a world full of options and variety, the perspective wanderer has two options, the gas RV or the diesel RV. If you’re left scratching your head and don’t have any clue where to begin your search, look no further. We are going to break down the gas RV vs. the diesel RV and hopefully help make your decision a little easier. We are going to start with the price first because it’s often the factor most consider before anything else. Before you even begin comparing the two, I highly recommend establishing your ideal budget, so you have an idea of where to start. For the sake of argument, let’s say you’re looking to buy a new RV. The average price of a brand-new gas RV has an MSRP of approximately $80,000 to $150,000 depending on the options you want to include. A new diesel RV is considerably more expensive with an average MSRP of $170,000 to $200,000. Personally, I feel like a diesel RV is a better a better long-term investment because they have higher resale value should you decide to upgrade in the future. To summarize, the gas RV is the best option if you’re on a budget but the diesel RV cost more but will yield a higher return should you put it on the market in the future. 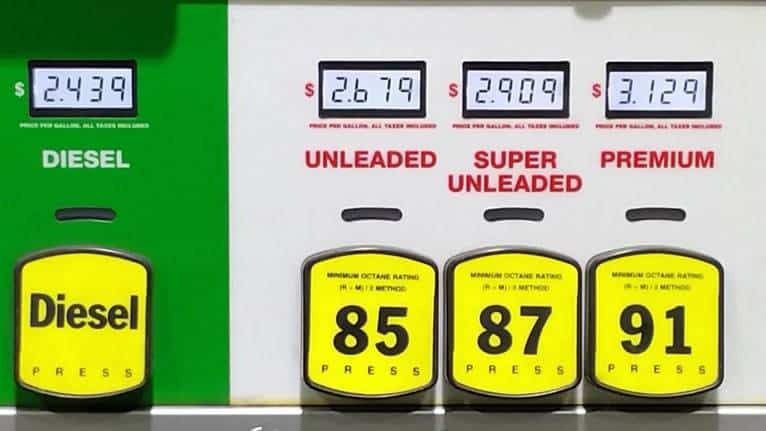 Before we go any further let’s acknowledge the fact that fuel is expensive, fuel prices alone can be a huge factor in your decision so let’s look at the average mile per gallon for both engines and a few other fuel economy factors to consider. Maintenance and the mechanics of the vehicles are where we begin to notice the fundamental differences between the two engine types. One engine is faster while the other can pull anything up a hill. Servicing of the two engines couldn’t be more different, one requiring specialized training while the other requires a general knowledge of basic engine repair. Pay attention because these categories are significant in deciding between the two RVs. Historically speaking, gas engines are much easier to maintain and repair compared to a diesel engine. If you have a general knowledge of gas engines, you can probably do a bulk of the repairs and maintenance yourself, plus gas engine parts are much easier to find than their counterparts. The downside of a gas engine is they run at higher RPMs, meaning the engine will always be working harder than a diesel engine, so more frequent upkeep is required to keep your gas RV running at optimum condition. Diesel RV engines are much more expensive to maintain compared to gas RV engines. If you’ve ever seen a diesel engine, you know they are very complicated and require specialized training to service. However, diesel engines run at a lower RPM, there is less strain on the engine so you can put in more miles between servicing. 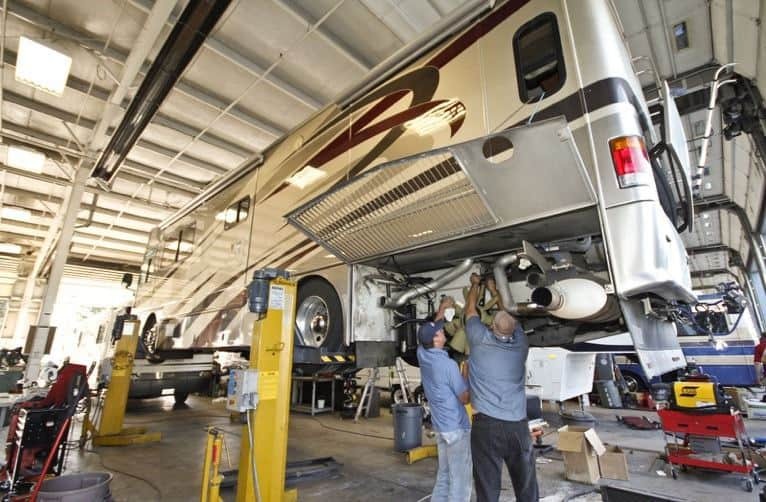 Both RV engines require oil, gas engines use about three times less oil than diesel engines, but you’ll need to change the oil in a gas engine every six months, diesel engines consume more oil but only need to be replaced once a year or every 15,000 miles. In a gas engine, if you know how to change oil, you can do it yourself, diesel oil changes are more complicated, so you’ll probably have to take it to a professional mechanic to make sure the oil changes are correct. The braking systems of the two RVs can differ substantially as well. Most diesel RVs have air brakes due to the increased torque, so if you’re uncomfortable with actuated braking systems when, say, driving on a steep downgrade, you’ll probably be more comfortable with the standard braking operation of a gas RV. Gas engines typically have higher horsepower and less torque, so you can accelerate and maintain higher speeds but having less torque adds more strain on the engine while towing and climbing inclines. Diesel engines are designed for higher torque at lower speeds but offer lower horsepower than gas engines. Increased torque means slower acceleration speeds but greater towing power and ease of coaching the vehicle up steep inclines. As you can see, both diesel and gas RVs are very similar yet remarkably different. There are some pros and cons to both, but ultimately, the decision boils down to personal preference and budgetary concerns. Not to sound biased but I would choose diesel for its fuel economy, higher torque and historically higher resale values opposed to gas RVs. What is your preferred RV? 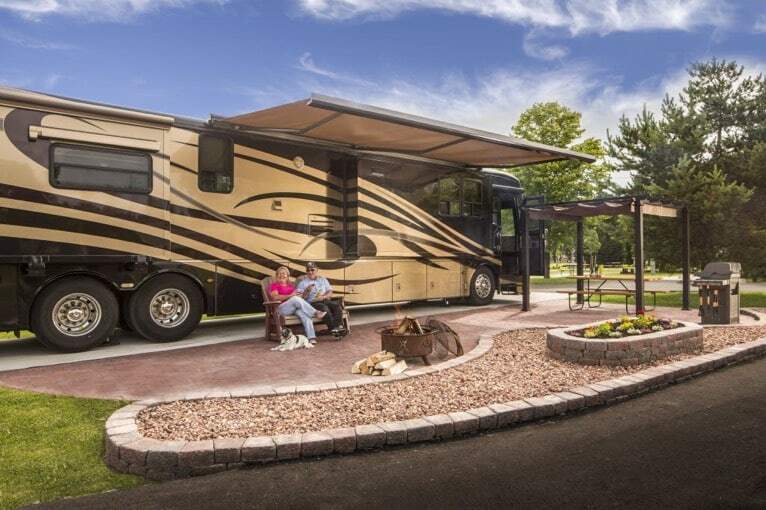 We would love to hear your thoughts on gas and diesel RVs so please feel free to comment and tell us your best RV stories. Thank you for taking the time to read our break down of the two, and I hope you’ve gained some insight. Safe travels my friends. Jan 22,2019 We are about to purchase our first RV . I’ve been researching everything that can help me decide what to look for when we make our decision. After months of reading talking to friends and RV owners mathematicians my decision is made. I’m going ⛽️ GAS. Thanks to all who provided help and answers. What factors swung your vote? Hey Greg. Congrats on the purchase! I hope this article helped you with that decision. Thank you Mike. This helps a lot. Thinking of taking the plunge and it looks like it’s GAS for me! I have a Mercedes Benz Sprinter and the diesel engine is really great. It’s relatively quiet, powerful and extremely efficient. It climbs mountains easily with lower RPMs, but, a gasoline engine has less drama. During the time we’ve owned it, we had an issue with the glow plugs and the emissions system. Fortunately Mercedes Benz replaced the entire emissions system under warranty. And, it’s true that you certainly go longer distances between service, but the service expenses will be higher with the diesel engine.